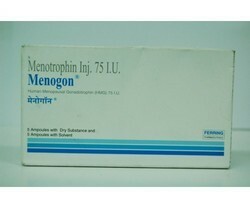 Prominent & Leading Exporter from Nagpur, we offer menogon menotropins injection, triquilar, susten progesterone capsules, yaz tablet, levonorgestrel tablet and progesterone capsules. 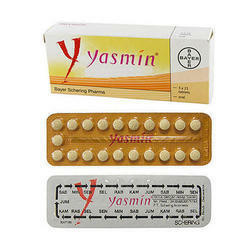 It is a birth control pill, prescribed after unprotected or suspected birth control failure. 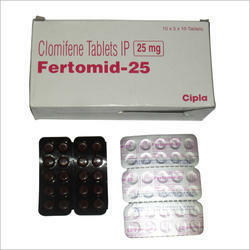 It is available in the form of tablet to take by mouth, with or without food, and intrauterine system for 5 years. Check all drugs you are taking with your doctor. This drug may not mix well with some other drugs. Avoid cigarette smoking. People 35 years of age andor smoking more than 15 cigarettes per day have more chance for heart disease. 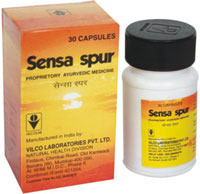 It is also used to restore menstruation in women with secondary amenorrhea. 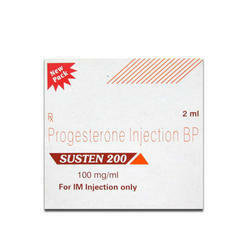 It a combination of drospirenone and ethinyl estradiol. 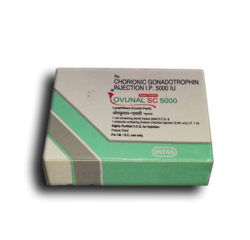 Drospirenone and ethinyl estradiol prevent ovulation and also cause changes in your cervical and uterine lining, making it harder for sperm to reach the uterus and harder for a fertilized egg to attach to the uterus. Medication is a birth control pill, suspected birth control failure. It inhibits ovulation, prevents transport of sperm or eggs and prevents fertilization and alters the lining of the uterus to prevent implantation if fertilization occurs. 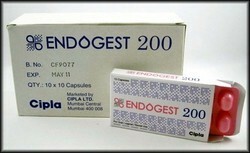 Endogest contains progesterone is used to prevent recurrent miscarriage and maintain pregnancy; to treat absence of menstruation in women of childbearing age and abnormal uterine bleeding; as a hormone replacement therapy in post-menopausal women; to treat premenstrual syndrome and depression following child birth. 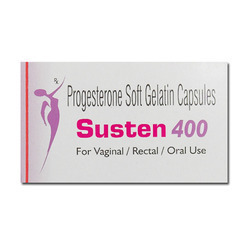 Susten is used to prevent recurrent miscarriage and maintain pregnancy; to treat absence of menstruation in women of childbearing age and abnormal uterine bleeding; as a hormone replacement therapy in post-menopausal women; to treat premenstrual syndrome and depression following child birth. It is used for the treatment of Infertility, Uterus Problems, Arthritis, Anxiety, Insomnia, Tumors and other conditions.It contains Aegle Marmelos, Ashwagandha, Butea Monosperma, and Putrajeevak as active ingredients. 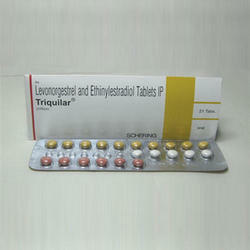 Triquilar is a low dose combined triphasic oral contraceptive pill and is used as an effective means of birth control to prevent unwanted pregnancy. 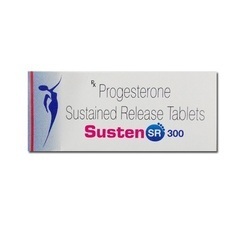 It contain two hormones combined at low doses in a single pill, with three different fixed dose combinations, designed to simulate the three phases normally seen during the menstrual cycle. Our organization is delicately engaged in offering an excellent quality Diane Tablet. These Diane tablets are formulated using the best quality ingredients and modern technology in order to cater the industry standards. Offered Diane tablets are tested at advance laboratories by experts in order to ensure its purity. 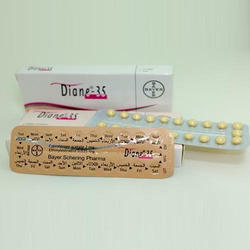 Also, these Diane tablets are accessible in different packaging options as per the demands of the customers. 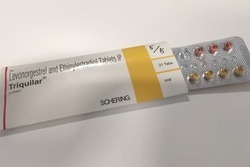 Levonorgestrel, is an emergency hormonal contraceptive used to help prevent a pregnancy when taken within 72 hours (3 days) of having had unprotected or if usual method of contraception has failed. It is also i available as a T-shaped intrauterine delivery system (IUD) which is used for the prevention of pregnancy (contraception) for up to three years. Stopping ovaries from releasing an egg. Preventing from fertilizing any egg that may have already released. Stopping a fertilized egg from attaching itself to womb lining. 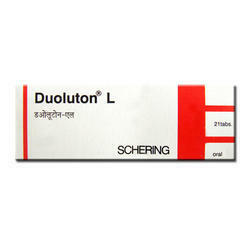 It is used to cause ovulation in women with certain medical conditions prevent naturally occurring ovulation. 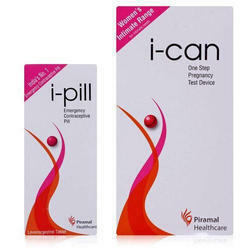 It is a Hormone Replacement Therapy (HRT). It contains the female hormone, oestrogen. Progynova can be used in peri- and postmenopausal women. 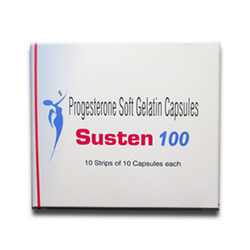 It is used to replace the loss of oestrogen at menopause to relieve symptoms of menopause. Medication is a hormone, prescribed for replacement therapy in women who have passed menopause. 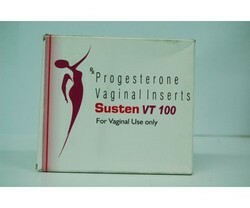 It is also used to prevent uterine cancer.If you have an allergy to progesterone or any other part of this drug. As an acclaimed company, we are engaged in offering a superior quality Deviry Tablet that is stored at controlled room temperature (20 to 25 C), in an airtight container. Our provided Deviry tablet is progestin hormone, prescribed for menstrual problems, prevention of pregnancy and breast cancer. The offered Deviry tablet is processed using optimum quality ingredients and best methodology as per the industry norms. Headache, nausea, vomiting, mild stomach/abdominal pain, bloating, redness/pain at the injection site, or breast tenderness/pain may occur. 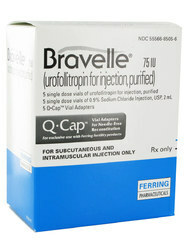 It is a non-steroidal fertility medicine. It causes the pituitary gland to release hormones needed to stimulate ovulation.